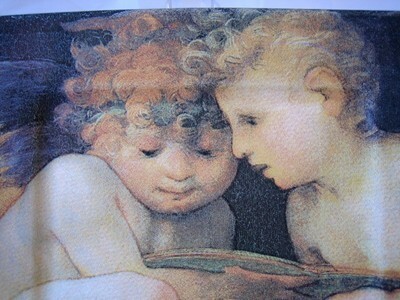 Click the button below to add the Cherub Angel Babies Square Italy Plate Tile to your wish list. 7 1/2 ". Fantastic Italian ceramic square plate. Lovely colors. Wonderful decorative piece for wall, cabinet, or snack.